John Archbold DA (b. 1954) Studied at Glasgow School of Art in Drawing and Painting under the leadership of David Donaldson then to Jordanhill College of Education. 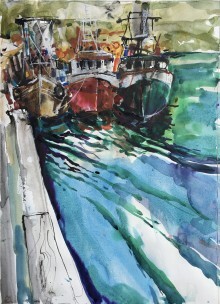 In 1977 he was appointed Itinerant Teacher of Art and Design for the Isle of Mull. In 1983 he was appointed Principal Teacher of Art and Design at Tobermory High. Throughout his teaching career spanning over 30 years he has continued developing his own work through drawing and painting. 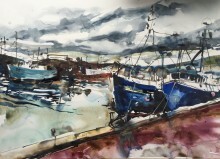 Archbold’s work adopts the bluer light of the Hebrides and the rich variety of texture and colours presented by the sea and shore. 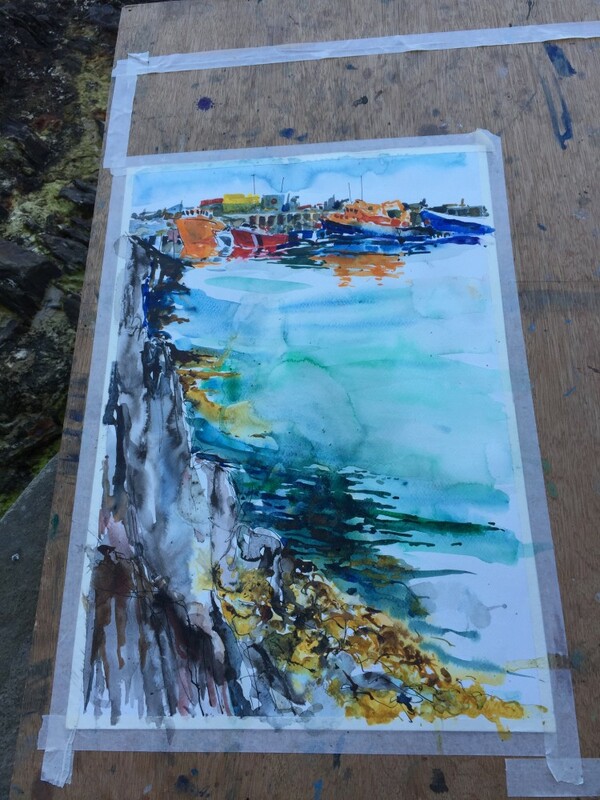 He believes he takes an “honest stance to his subjects”, which has resulted in powerful statements about the land and seascapes of Mull which he has now adopted as his own. John retired from his teaching post in August 2010. After a long career he now is able to work full time on his painting. He has been able to travel more and hopes his work will further develop in different directions. 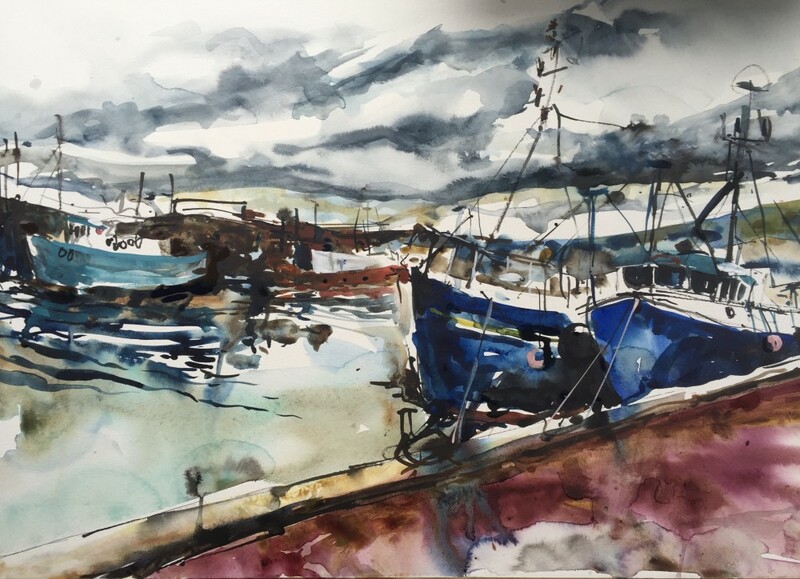 Currently he is concentrating on fundamental discipline of drawing using various media and subjects in the plein air hoping that this will encourage a fresh approach and revitalisation of his studio pieces.